The Sky-Dweller has always had a slightly contradictory character. It's the most complicated watch Rolex makes (in terms of mechanical complexity, it's only rivaled by the Yacht-Master II) and when it was introduced in 2012, it was only available in precious metals. At the same time, it's clearly intended to be an extremely practical watch – durable, easy to use, and easy to live with, even under the stress of navigating the world's increasingly unfriendly skies. Read more about it at Hodinkee. We at Luxurywatches, George, Nora, Linus, Roger, Pontus and me, Tony, are passionate connoisseurs that everyday has the privilege to work with our biggest interest; watches. With watches history, craftmanship, functionality, precision and complexity, we always feel right at home. Watches have always been a huge interest of mine, and trough the years i have built an international network to be able to successfully aquire watches that lies in me and my clients interest. Today, Luxurywatches Stockholm is well known among collectors, clients and watch dealers around the world that share our passion and interest. Just a couple of years ago, our main customers were friends , friends friends and relatives. Now, people from all around the globe is contacting me for help to find the right watch for them, at the right price and in the right condition. For us, every new contact is important. Regardless if it is your first watch purchase ever, or if you want to expand your collection with some of the worlds most exclusive watches. We are a recurring link when some of the most exclusive watches change owners. Today, our store and showroom is located in central Stockholm. 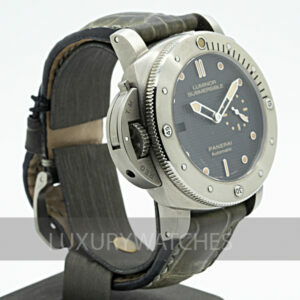 You are always welcome by to view our watches in stock, or to place an order for a watch you want. The watches that others have a long waiting list for, we usually have in the store for you to buy the same day. Regardless if you are planning to buy your dream watch now or later, you are always welcome to talk to us, we love watches and we are here to help you. If you decide to make your purchase through us, our promise is that you will feel safe and taken care of through out the whole process. To us, all our clients are part of the Luxurywatches family.